Obesity is a serious health problem all over the world. Developed countries and affluent societies are particular victim of obesity due to availability of excess food and limited physical activities According to the National Institutes of Health, over-weight and obesity together are the second leading cause of preventable deaths in America. An estimate shows around 300,000 deaths each year are due to complications of obesity. 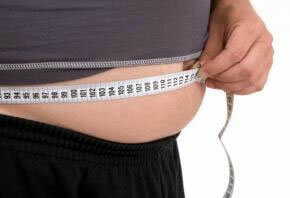 Being over-weight or obese puts an individual on risk of serious complications including heart attack. Obese people suffer heart attack more frequently than do people with normal weight. Heart attack has become the leading cause of death due to obesity. Obesity accelerates the process of atherosclerosis through hyperlipidemia and insulin resistance syndrome. Atherosclerosis causes narrowing of blood vessels which supply blood to different body organs including heart. When arteries supplying heart muscles (coronary arteries) are narrowed significantly, ischemic heart disease starts; heart attack occurs when narrowed coronary arteries are totally blocked. Heart attack results in death of heart muscles resulting in a number of complications like arrythmias, heart failure, heart block and many others which may prove fatal in many cases leading to death of the patient. Research shows that people who are obese have more chances of heart attack and risk of death after heart attack. These bitter facts about obesity have been proven by different studies. Obese people suffer heart attack at earlier age than non obese people. Obese people suffer heart attack at earlier age than non obese people; it was shown in a research by McCullough and his colleagues at William Beaumont Hospital, Royal Oak, Michigan. They retrospectively studied 111,000 patients who suffered a heart attack. It was concluded that average age of first heart attack was 74.6 years in people with normal weight while obese people suffered first heart attack pretty earlier, at average age of 58.7 years. Obese people have more chances of dying from heart attack than people with normal body weight.The observation that obese people have more chances of dying after heart attack was made by Jennifer Logue, a clinical lecturer of metabolic medicine at British Heart Foundation’s Cardiovascular Research Centre at the University of Glasgow, in Scotland. Jennifer Logue and her colleagues followed 6,082 male patients who were having high cholesterol but no element of heart disease and diabetes mellitus. During 15 year period of study, 214 persons died due to heart attack while 1027 other people suffered heart attack or stroke and survived. When risk of death due to heart attack was compared in obese people and non obese people it, was found that obese people were at 60% higher risk of dying from heart attack than people with normal weight. Middle aged obese men were at particular higher risk. The only way to improve health and reduce chances of death due to heart attack is losing excess weight. If you are obese hurry up! Lose your extra weight to enjoy full essence of life. Weight loss is not that difficult if proper advice for weight loss is sought. Remember when BMI exceeds 40, the person fall in category of morbid obesity and the only effective way of losing weight in morbid obesity is weight loss surgery or bariatric surgery. Get help of experts at our dedicated bariatric surgery hospital for ultimate healthy change in your life. Lose weight before losing life!